Understanding dog’s body language is not a difficult task, but it varies from one pooch breed to another. Since a majority of canine communication is expressed non-verbally, as a dog trainer, I feel it is crucial to thoroughly cover dog body language. Essentially, nearly all canine communication is represented in their body language. Picking up on the subtle cues they offer is not easy to grasp at first. It will take a lot of observation of dogs in their natural state, meaning without human interference. 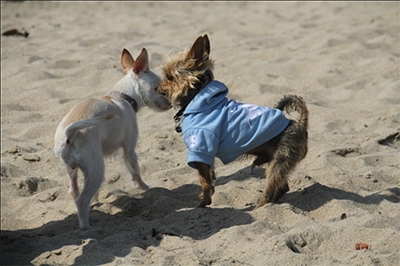 Places like dog parks are a great opportunity to enhance your ability to read and understand canine body language. Later in this chapter, I will go into detail about how to interpret a dog’s current state of mind. Some of the body parts that a dog uses to express themselves, to us and other canines, are: eyes, ears, head position, lips, tongue, paws, tail and back. I cannot stress enough to look at the entire dog while evaluating their body cues. 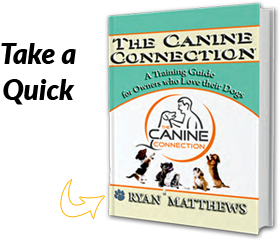 The reason is that the combination of various body expressions at the same time will offer the best understanding of the canine’s communication. 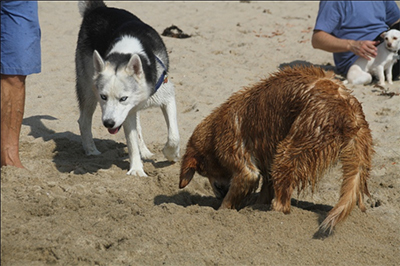 professional dog training tips provider in Orange County in my opinion, it is important to honor what the dogs are telling us. If a particular dog is demonstrating they want nothing to do with the encounter, do not force it. That would be similar to humans insisting on getting along with everyone in all situations. It’s a fact of life that not all personalities will mesh well. Signs of acknowledgement and agreement include a look and/or tongue flick. Acknowledgement Sign/Look Away: The Siberian Husky in this picture is offering a polite look away to negotiate his passing into the Golden Retriever’s space. For extra, credit notice the small white dog in the background? What do you thinks it’s mentality is? Aggression : People often say aggression is hard to read and that it just happens out of nowhere. That couldn’t be further from the truth. Aggression typically stems from a dog feeling like its space is being encroached. Prior to a canine actually biting, there are a few signals that are offered to warn the other dog or person they are heading in the direction of conflict. Watch for stillness and the direction of the dog’s head and eyes. If they are not facing in the same direction (looking out corner of eye), the warning signs are being displayed. The next series of signals is usually a lip curl, and if that doesn’t back the other dog off, a low growl will follow. Lastly, comes a warning snap or in extreme cases, a kill bite to the jugular. Please note that each dog has various levels of tolerance. Some won’t put up with having their space invaded and will attack while others may not like it, but will tolerate it to avoid a conflict. Aggression: These two dogs are in a freeze. Often, the freeze is a precursor to an aggressive outburst. When dogs become still and freeze disrupt the encounter.